Now that we know a little more about the providers, lets explore what happens when you meet their training partners. 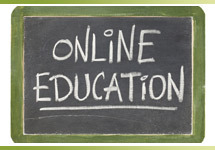 Each provider has a list of authorized training partners. These partners have certified instructors, policies and programs to deliver the guidelines and instructions created by their provider. Here in lies the confusion and the key to how to choose a good CPR Training Toronto partner for yourself. 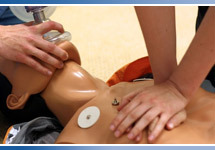 Locally Synergy offers some of the most comprehensive and affordable First Aid and CPR courses Toronto around! We work with large universities, employers and daycare operators ensuring that our CPR Training Courses meet and exceed all expectations. *this is an important fact because training times are generally standardized across the world. The training partner you select will ultimately determine whether you will be provided with the education and skillset necessary to perform life saving CPR or First Aid when the time arises. It is an important decision and one that you should take seriously. It is quite clear that not all training partners uphold these values and requirements. There simply is no way you can recertify CPR in 2 hours with all training requirements and material that needs to be covered! If you are looking for a fast and cheap way to certify yourself in First Aid or CPR, perhaps you should consider why you are doing it in the first place. Cutting corners in your training can potentially lead to your inability to save a life if that opportunity arises. The experience of your training partner should be a good indication of type of education they are going to deliver. A good partner should have an easy to read and understand website that outlines their programs, pricing and registration. A good partner should have their policies available online and should offer the ability to talk to someone on the phone or by email. Finally, a good partner should offer competitive pricing – if you are getting a program that generally cost $50 everywhere for $25 and completed in ½ the time…its time think again! 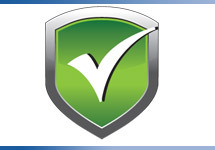 Synergy Employment Services has been providing exceptional health, education and safety services since 2003. Our client base includes organizations large and small and individuals that participate in our newly renovated Toronto Training center. Synergy is an authorized Red Cross Training partner provide a full suite of First Aid and CPR programs. 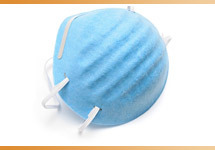 Synergy is the only provider to bundle CPR or First Aid program with N95 Mask Fit Testing – we provide 2 certifications in one day! Go ahead, do your research and select a training partner that provides you with the confidence and ability to truly explore your life saving potential!